Features: Make your Fitbit Alta & Alta hr. bands more personalized and add more fashionable elements. comfortable, durable materials make these bands your go-to accessory through exercise, sweat, sleep travel and beyond. a must have for Fitbit alta&alta hr. - include Fitbit Alta bands, no tracker. 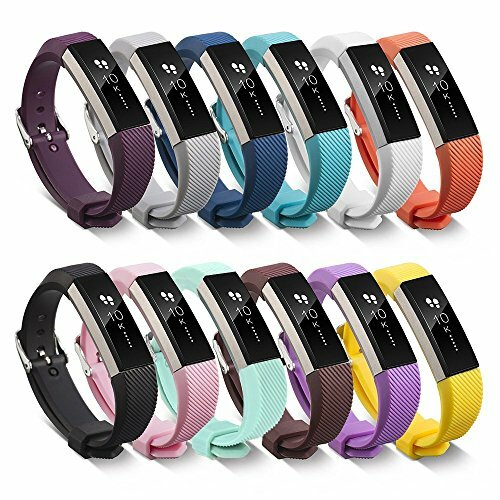 Package include: 12 x silicone band for Fitbit Alta & Alta hr. 18 months warranty. There are 12-pack/1-pack available, please pay attention to the selection.